The uniquely voiced Angelis AX20E and Tonare T40E cater to multiple musical styles and offer the quality and reliability PRS Guitars is known for. PRS' latest creation fuses the Hollowbody II and McCarty 594 designs into a single instrument. Revamped “Paul’s Guitar," the CE 24 Semi-Hollow and a new SE Custom 24 will be available next year. The guitarists try the six new SE models, weighing in on their unique characteristics. These new SE acoustic models from PRS perform at an elevated level with an entry level price tag. 10 tone machines that have earned a place in history for being—in one way or another—first-rate game changers. 10 major milestones in the electric guitar's journey from gimcrack novelty to high-performance rock machine. 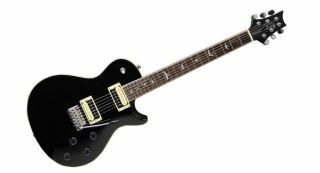 PRS Debuts New Limited Edition Model, "Paul's Guitar"